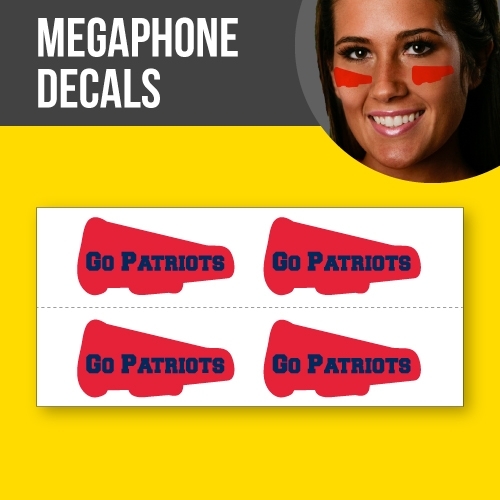 Custom printed megaphones are a great way to show team spirit. They are a turnkey solution for any cheer, homecoming, or game day event. They offer a new way to stand out with your customers’ logo. Made with high end-Athletic Materials-they are tested by independent labs for safety and our plants are inspected to comply with all applicable laws and regulations. Pricing is per single peel and stick Megaphone. 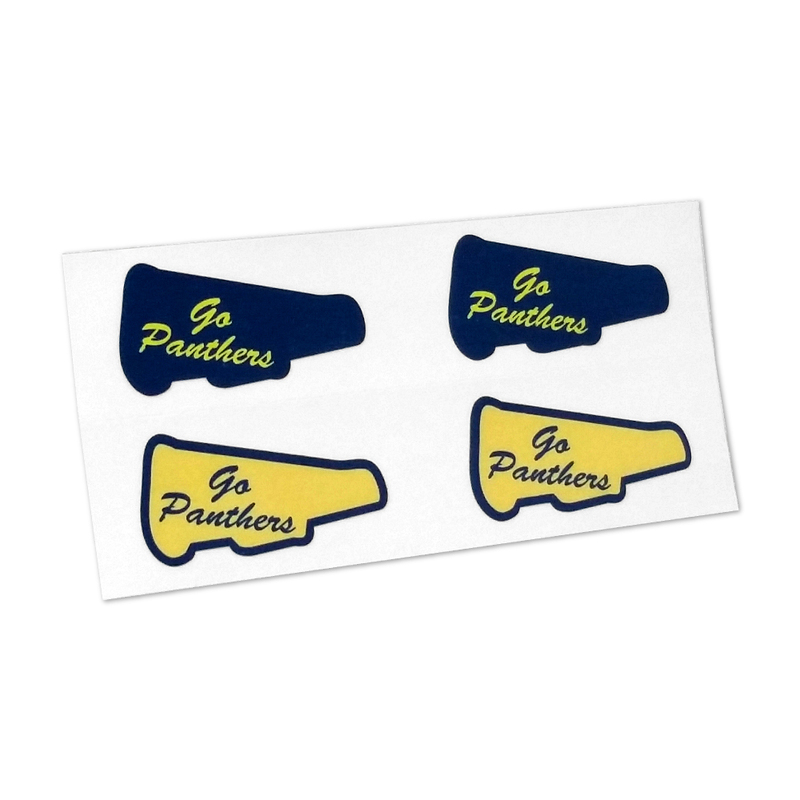 Product comes printed on sheets with 4 megaphones to each sheet. 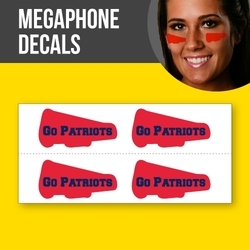 EyeBlack is the innovator of EyeBlack and Customized EyeBlack. They are the only company that produces eye black for on the field use by professional and collegiate athletes. It not only helps to reduce glare, but looks great on athletes and fans. The product peels on and off, is patent protected, and has clean, crisp graphics.